Ho-ho-hold your horses and mark your calendars: the Horse Radio Network’s 12-hour live Holiday Radiothon will take place on November 26, 2018! Here’s the scoop on how you can listen in and win some great prizes. Brace yourselves, equestrians — no Cyber Monday is complete without HRN Holiday Radiothon! The fourth annual Radiothon will take place this year on Monday, November 26, kicking off at 9 AM EDT and rolling on live all day long until 9 PM. Produced by the Horse Radio Network, the “Voice of the Horse World,” Radiothon is a great big celebration of all things horsey with a full slate of star guests to be announced, listener voicemails and live calls, and tons of prizes from event sponsors. This year’s Radiothon is sponsored by WeatherBeeta and Horseloverz.com. Featured HRN hosts will come from Horses in the Morning (on which Horse Nation’s own Leslie Wylie is a featured guest every Monday! 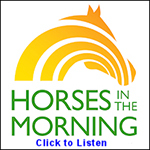 ), Dressage, Monty Roberts Horsemanship Radio, Certified Horsemanship Association, Healthy Critters Radio and many more. Every year, guests and callers discuss one big subject, and this year is a fun one: if your horse could talk, what would their New Year’s resolution be for 2019? Be sure to tune in to the 8 PM final hour when Horse Nation’s Leslie Wylie and Kristen Kovatch shut ‘er down in grand style. No Radiothon is complete without prizes, and sponsors are lining up to present some great giveaways this year — $4,000 worth! 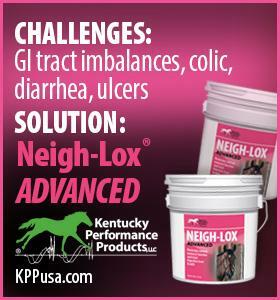 Top prizes include a $500-value package from Weatherbeeta, a Wintec saddle of winner’s choice and many more. To enter, all you have to do is submit a voicemail with a holiday greeting at Radiothon’s official website. The Horse Radio Network (HRN) is proud to be the “Voice of the Horse World” and home of the most entertaining equine radio shows/podcasts on the internet. HRN currently produces a multitude of different shows and just passed 7,500 episodes. Their lively interviews and fun segments by horse industry experts and professionals have generated millions of downloads and fans from all corners of the globe. HRN’s unique format is a mix of entertainment and education that engages listeners in a friendly and dynamic way. For more information about becoming a listener, sponsor, or guest, visit HorseRadioNetwork.com, call (859) 951-2022, or email [email protected] HRN can also be found on Twitter (@horseradio) and Facebook.